It has been slow going on my Neptune quilt. I really need to figure out the best way to make time for quilting. Here is the second design I put in the white blocks. It’s a loop frame. There is an outer frame and an inner frame. Then the white space is filled with loops. 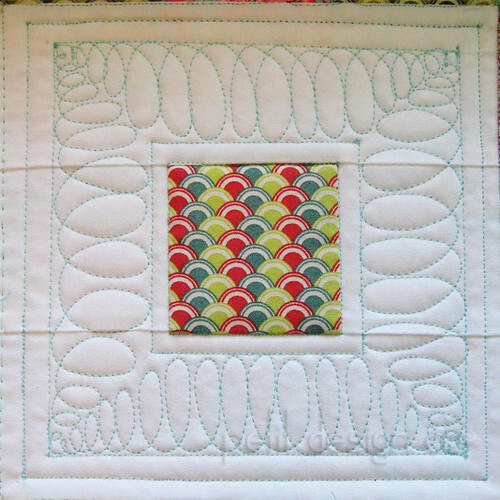 Don't forget to enter my giveaway for a FQ of Heather Ross Fish fabric! 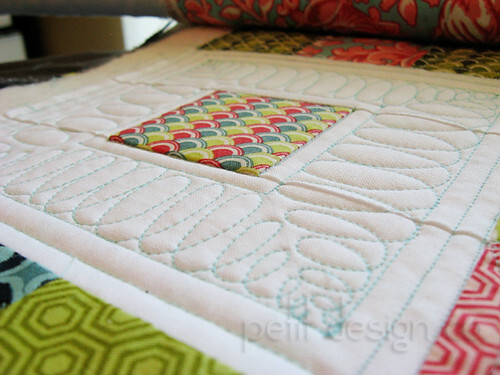 I really like this loopy frame you've used for this block.